Spring has sprung- oops, I forgot I am in Vietnam. This can only mean one thing... heat, heat, more heat and the rise of humidity. Just when I thought I was getting use to the heat the humidity picked up and the constant feel of stickiness is back just like day one in Bangkok. The worst part is I am a teacher now so I can't just run around in my beer t-shirts and fisherman pants. I actually have to wear real clothes. My teaching outfit is simple, I wear a moderation of one thing - a long sleeved button up button up and black capri pants. I have, however, started wearing skirts. This cuts down on the internal heating problem I am currently dealing with. I have become best friends with the market ladies who sell the Ralph Lauren button ups. I can't tell you how many times I have stopped there before going to school and changing on the spot. 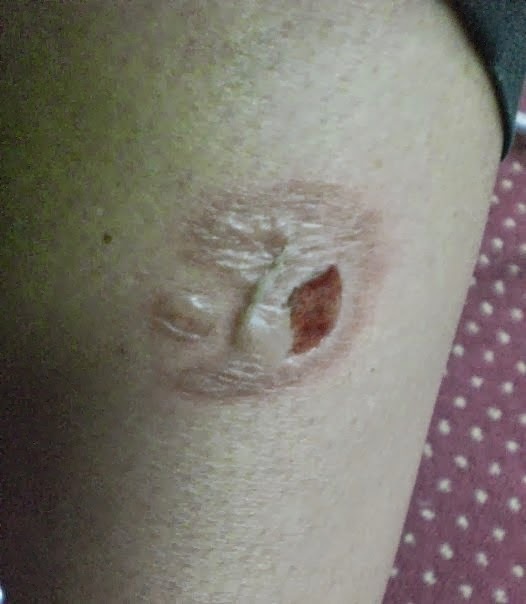 About a week ago I got my first motorbike muffler burn. My leg was on the muffler for about .5 seconds which was just enough time to create a burn the size of an extra large US dollar coin on the back of my calf. Scabs, blistering and pain. I had never noticed the back of peoples calves until this little event. Every other person in Vietnam has a scar left over from a motorbike burn on their leg. It may just be a right of passage.